A Ubisoft account is required to play online (uPlay client is not needed). Patch 1.3 updates the game to the latest version. The Steam version is already patched. A free map pack that adds Murdertown – Dark, CQB Training – Dark, and Calypso Casino to all Versus modes and Terrorist Hunt (these maps are already included in the Steam version). Also available, Comcast Event Map, a multiplayer gift map that can be downloaded from here. 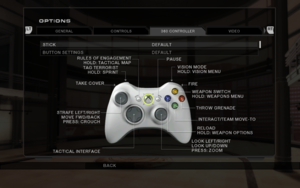 Use Rainbow Six Vegas 2 Aspect Ratio Fixer or Widescreen Fixer. Use Widescreen Fixer or see the WSGF topic. 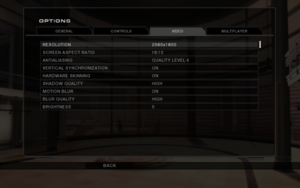 The in-game resolution pull-down menu does not scroll and thus may have problems displaying all available resolutions if the game detects a 1440p or higher monitor. You may have to select higher resolutions blindly by scrolling with the arrow keys. After using Dxwnd, use a fullscreen windowed app to force it. Goes from "none" to "Quality level 8". Open DxWnd and add a new game. Click ... right of a Path field and navigate to installation folder. Switch a filter from Application (*.exe) to All files (*.*). 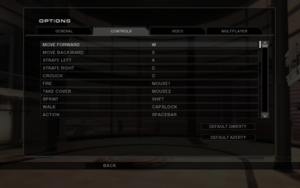 Select game.dat and click OK.
Click ... right of a Launch field and navigate to installation folder. Under Position type in desired window width (W) and height (H). Make sure these values are the same as resolution set in game. Set DirectX Version Hook to DirectX9. Make sure one of the Emulation options is selected. On Nvidia graphics cards you can turn it on through Nvidia Inspector. Use "0x00000025 (Tom Clancy's EndWar)" preset. 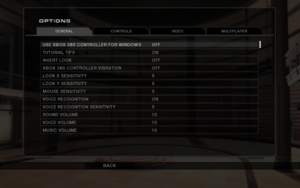 This will result in noticeable FPS drop in certain game areas. Co-op: 4 players, up to 16 players with TeknoR6Vegas2. A guide on setting up a dedicated server can be found here. 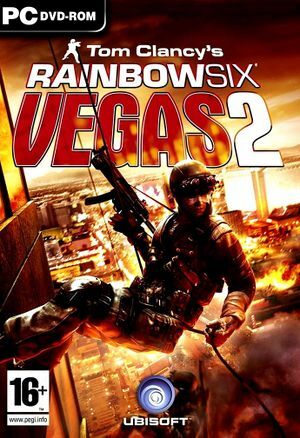 A common error for players attempting to play Rainbow Six: Vegas 2 online is the message "Failed to initialize network service." Download the sound bugfix here. Backup the original eax.dll in <path-to-game>\Binaries. Extract/copy the fixed eax.dll from the bugfix zip to <path-to-game>\Binaries. 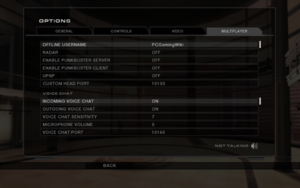 Turn off voice recognition in game. Open the PCKellerJoysticks.ini file with Notepad or other text editor. Under the [Joystick0] section, set VendorID to 1118 and ProductID to 736. Add UseXInput=true under the ProductID line. 4. Save the file and launch the game. ↑ 3.0 3.1 File/folder structure within this directory reflects the path(s) listed for Windows and/or Steam game data (use Wine regedit to access Windows registry paths). Games with Steam Cloud support may store data in ~/.steam/steam/userdata/<user-id>/15120/ in addition to or instead of this directory. The app ID (15120) may differ in some cases. Treat backslashes as forward slashes. See the glossary page for details.